VC Tar2 Epoxy Primer from International Paint is a 2-component epoxy primer providing osmosis protection to GRP boats and anticorrosive protection to steel and alloy surfaces. For use below water only. It is self-levelling to give an excellent finish and easy to apply, allowing over-coating within hours. 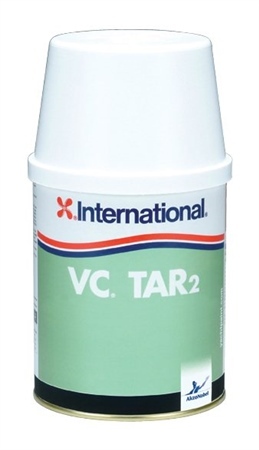 VC Tar-2 is the ideal primer base for all VC antifouling. My boat was painted with VC tar2 in 2003 and the hull was very dry when tested. After removing the old anti foul and undercoat I used 180 grit. Three coats of VCTar 2 was applied to the old VC tar, no problem, great finish.